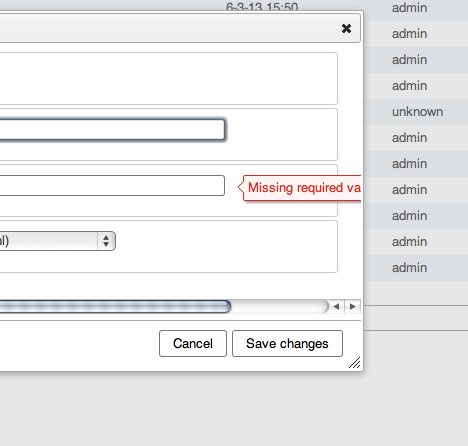 The CSS for validation message is not properly visible inside a dialog. In addition to this CSS for buttons is missing on most of the browser except Firefox. The CSS for the buttons was fixed. The issues with the validation message will be addressed in 3.1.